In my real world experience the Regulation 1910 is the Over Qualified Person (not in a demeaning sense) while Regulation 1926 is more real world where on-the-job experience can create the qualified person. People defined a “professionals” can be assumed to be qualified persons, but perhaps not in everything in their profession. The same for professional tradespeople. Reading a safety manual can make one knowledgeable, but does not make (by definition) a Qualified Person. The missing qualification is experience. The OSHA regulations take knowledge and experience one step farther. It requires demonstration of the qualification. Weldors (the person) are welders who demonstrate they can perform a proper electric arc weld. Pilots are qualified when they show flying skills to an examiner. Lawyers are qualified when they pass the bar exam. Doctors serve an internship. Point made. The ability to buy something, doesn’t automatically make one qualified to use it. Buying a car doesn’t make one a qualified driver. Buying a 3D printer doesn’t make one a qualified operator. In the free world of the Internet, and most of today’s “Media Sources”, un-qualified persons often post “opinions”. Everyone else needs to decide if it has value or is simply expressed ignorance. Sometimes it may be outright purposeful deceit. My point is anything presented by non-qualified person should be regarded as an unqualified opinion. Opinions are always a point of view and don’t necessarily qualify as indisputable truth. It could be truth to the presenter, sometimes called “an honest mistake” if there was no deceit or malice intended. A Qualified Person also has opinions, based on their qualifications and therefore closer to the truth. Not saying they couldn’t be adding spin or telling lies. Eye witnesses to an accident seldom get all the facts correct when seeing something for which they are not a qualified person. People go to prison because the eyewitness got it all wrong. Seeing is not always believing, or the truth. 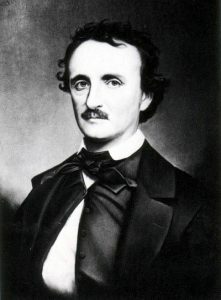 Edgar Allan Poe once penned, “Believe nothing you hear, and only one half that you see.” Even this is of course, not absolutely true. But it is humor not fact, and makes the point. In my honest opinion, ahem… I don’t take opinions at face value. I want to know if they are coming from a “qualified person” with no hidden agenda. I am careful to sort opinion from fact. Many stated “facts” are opinions or may be a “spin” version of the facts. Where have all the qualified people gone? Graveyards everyone?